We have recently returned to the studio to record 10 more songs clips for our "Family Portal". These songs include original and traditional songs that promote parent-child interaction and fun. For those that have attended workshops recently and joined in with our daily living songs, we have added "Brusha Brusha" and "Wacky Do" to the portal for use at home with your children. Enjoy! There are so many fun songs and activities that we learn at MusicConnect. For one little girl this term, the Pack Away song has become so much of a favourite, that she started referring to the group (and even the MusicConnect Music Therapist) as “Pack Away”. As soon as they arrive at the centre, Hana points and excitedly says “Pack away!”. And of course, during the sessions, she is one of the first on her feet when the Pack Away box comes out and the song is sung. Mum reports that even at random times during the week, including in the evening, Hana asks if they can go to “Pack Away”. It’s great to hear that the whole family (even those family members who have not attended MusicConnect) all know the Pack Away song, and join in with singing. Who knew this everyday ‘chore’ could be made so much fun?! Al Fuller recently attended the Annual 'Neighbour Day' at Relationships Australia Brookvale. A range of community and private organisations attended on the day, along with local politicians, business owners, company directors and our wonderful families. Al took the opportunity to spread the word about music therapy and provided 'mini-music sessions' during the day, encouraging parents to use music at home to have fun with their young children. "The children’s little faces where full of delight. It was very engaging and encouraged both parent and child participation. The parents are looking forward to making their own jelly fish as an extension activity next week. Again we are very grateful for providing us with this free session and hopefully if we receive funds we will definitely look at booking in some regular sessions. The parents all provided positive feedback in that they would like to have this program in the future." In March the MusicConnect team came together for a lunch time meeting to discuss all things 'music' and to enjoy some yummy food. We met at the Hazlehurst Cafe in Gymea. In term 1 2016 MusicConnect and ASPECT partnered to provide families across various locations with parent information sessions and parent-child music therapy sessions. Information shared included: the benefits of music therapy with children with ASD, ideas for using music at home for daily living routines, planning ahead for NDIS and how music therapy can be a part of your child’s treatment plan. In February, Al visited the Grandparents Group at Narrabeen, supported by Relationships Australia. A fun morning was had by all with singing, dancing, playing instruments and relaxation time. A beautiful morning tea of cakes and fruit was provided by the Grandparents. Thanks so much for having us visit. Caresouth commenced the 8 week ‘Music Time Twist’ program on 14 October, with Elena Bellinato (MusicConnect Music Therapist) facilitating the group. The program was offered to the clients of the Brighter Futures program, an early intervention/child protection program that offers support to families experiencing vulnerabilities in the areas of domestic violence, mental health, substance abuse and disability. Between 8 and 10 families have attended regularly since the group commenced, a feat which is remarkable given that attendance has previously been an issue for families on the program. The group consists mostly of young children aged under three and their parents. Brighter Futures family workers also attend in order to support their clients and to model positive parenting practices. ‘Music Time Twist’ helps facilitate many of the aims of the Brighter Futures program. Specifically, it is a time in which positive parenting messages are promoted, and children’s development is supported. Parents are provided with the opportunity to spend quality time with their child and children develop important social and emotional skills. Parents have reported that their children ‘love’ attending, have become ‘more social’ and get excited upon arrival to the group. In November I facilitated a "Workshop Waltz" session at Brookvale in Sydney. Families participated in a range of activities primarily focused on child development goals. We also added in a few Christmas songs for fun, including "Here's Our Little Christmas Tree" to the tune of "I'm a Little Teapot". See lyrics on the families page. Use the password: cCfamily1518. It was a fantastic session, with amazing engagement from the families. The children were all very interested in all the instruments and props and we all had a really fun time, while learning together. Many thanks to Susan from Catholic Care and Jane from Relationships Australia (Community Builders). In October we got creative and recorded our 'Song Clips' exclusively for MusicConnect families. We recorded old favourites, such as "We are Fine Musicians" and "Three Jellyfish" along with new songs such as "Music Time Twist" and "Can You Play the Drum?". To access these clips go to www.musicconnect.net.au and at the bottom of the page click on Families Attending Music Connect. You will then need to enter the password cCfamily1815. I was pleased to be a part of the WSU final year student presentations on Wednesday 21 October. Seven students presented a research proposal as their final assessment task for the Master of Music Therapy course. Topics ranged from using music therapy to address cognitive recovery for clients with schizophrenia and acquired amusia to using music therapy for social-emotional learning and to support anti-bullying programs. I was very impressed with the standard of presentations and the great deal of time, thought and research that went into these papers. Once again, well done to the final year students, and all the best with your future music therapy endeavours. This webinar focused on how families can include musical fun into everyday routines and daily living tasks. These times in the day can be full of stress and pressure for grown-ups and children alike. Songs can assist to calm the situation, work to a time frame and structure tasks. Within this webinar, I shared a range of ideas and songs with families to assist with daily living tasks (eg brushing teeth time, change time), family play (eg music time, pack away time) and outings (driving time, park play time). Simple, catchy songs were presented - and a link to the MusicConnect YouTube Channel was shared. Many thanks to Lifestart for hosting MusicConnect for this webinar. Watch this space for further MusicConnect/Lifestart webinars in the future. 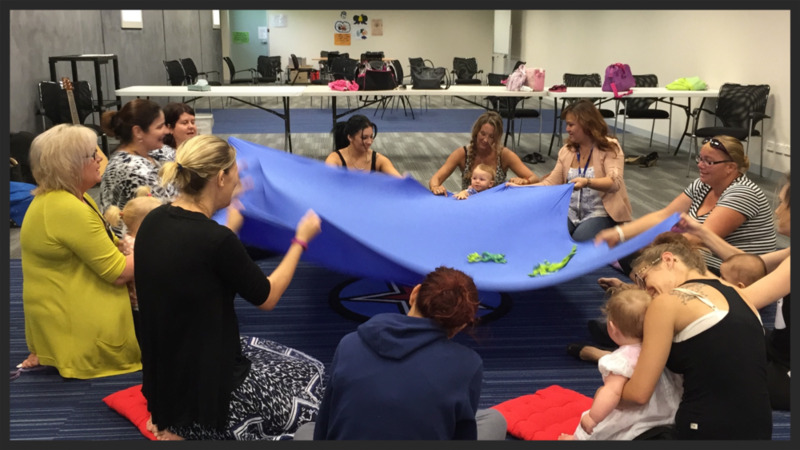 The 2015 Australian Music Therapy Conference was held in Sydney on the 18th and 19th of October. Read more about AMTA... An incredible range of papers were presented with a great balance of research and clinical work. I thoroughly enjoyed this opportunity to re-connect with the music therapy community and hear of the amazing work going on around Australia. From an international perspective, we had Professor Gary Ansdell as the keynote speaker. His new book: How Music Helps in Music Therapy and Everyday Life is now available. The lecture was titled: "Music Therapy for Young Children and their Families, Reflections from 20 years as a Registered Music Therapist". I shared aspects of my professional story and included video footage, case material and program examples from my work at Giant Steps Sydney, Music Therapy Centre Northern Beaches, Sing&Grow AUSTRALIA and my new venture social enterprise - MusicConnect. The students were very receptive to the information, engaging in sharing and discussion. I wish them all the best as they embark on their final research papers and assessments in the lead up to registration with the AMTA (Australian Music Therapy Association). Many thanks to Alison Short for the invitation to meet with and present to the students.